The exciting duo is the collaboration of the Gresham brothers, who are both longstanding members of the Hospital family under their separate aliases. Individually, the siblings have an extensive back catalogue of releases and are now combing their experience and talent to create a synergy of soulful drum & bass tunes which are heavily influenced by old Hospital sounds. Their first album under their joint moniker, aptly titled ‘What I’ve Always Waited For’, dropped at the end of March and has already been labelled as one of the finest drum & bass albums this year thanks to a plethora of definitive tunes. The siblings’ experience and knowledge of the genre is prominent throughout the beautifully nostalgic album, and with collaborations with the likes of S.P.Y, Robert Manos and DRS, it’s no wonder this 14-track-colelction has been hailed as a modern-day masterpiece. What stands out in particular is the diversity the Cambridge brothers have incorporated. Each track is notably different from the last, and that’s obviously a great attribute. For example, the wonderfully catchy ‘Everlasting Days’ features bouncy old school garage notes whilst the subsequent track, ‘Tripping In Space’, is a far heavier and darker foray into the genre, with a gnarly build-up and drop that comes as a surprise no matter how many times you listen to it. In many people’s eyes, the standout track and album’s pièce de résistance is the beautiful ‘Memories’, a track which encapsulates the duo’s sound; majestic, soulful and emotive. This tune in particular will undoubtedly be one of those that leaves everyone longing for more. 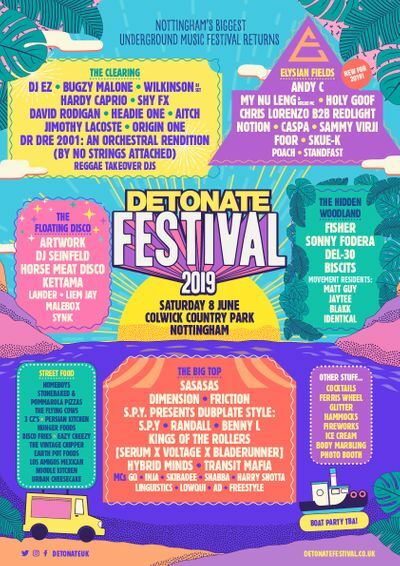 You can catch Nu:Logic at Detonate in Sheffield on May 5th.